Comes with a variety of tools: XL parquet nozzle � for all types of hard floors, 3-part accessory set: upholstery / furniture /crevice nozzle in a practical cloth bag, 35� long XL-easytouch� telescopic tube and 6� XL Premium suction hose. Ideal for those of us who suffer from allergies- contains HEPA filter- the air blown out is cleaned by filtering up to 99. The air sucked is nearly 100% free of household dust, pollen, dust mite allergens, mold, spores and odors. 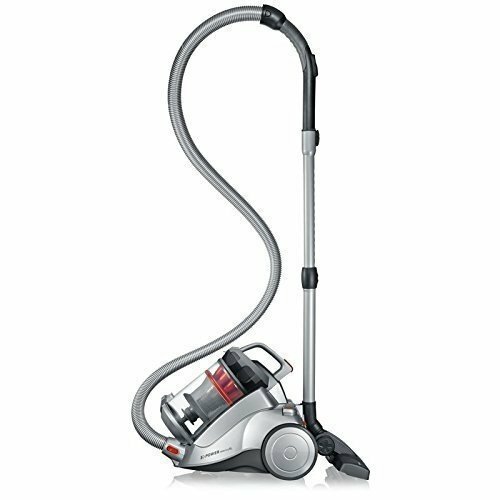 Save your money as no bags are required and the vacuum comes with an efficient, lifetime filter. Vacuum waste is held in a container and it can be emptied by a press of a button.